You may not believe it but it’s true! The Beatles played the tiny Ritz Ballroom on King’s Heath’s York Road not just once but three times. The ballroom was one of four venues run by Ma and Pa Regan in the 1960’s known as the Regan circuit. Their third and final appearance was on 5 July 1963 after a last minute re-arrangement of venues on the Regan circuit. This new stage show stars Emanuele Angeletti, from the hit stage show “Let it be”, as Paul, with Jill Schoonjans playing Linda. The first half of the show takes us back to the Wings 1976 World Tour, kicking off as it did then with “Venus and Mars/Rock Show”. Dressed as Paul was on that tour, the vocals and musicianship are great and take you back to that time, if you were lucky to see it, like I was. If you weren’t in the audience during that tour, it gives you a great insight into what Wings were all about, at what was probably their peak. Some of the songs are shortened versions, so that more great songs can be included, but in this first half we are treated to “Too Many People” and “Another Day”, both songs from the 70’s but which didn’t feature on that 1976 tour. This adds to the pleasure experienced during the show. Emanuele looks and sounds like Paul and has many of his mannerisms, making it seem like you are at a Paul McCartney gig. Denny Laine is represented with a great rendition of “Go Now”, and the acoustic section features “Yesterday”. The second half of the show focuses on the post 1970’s part of Paul’s career, featuring a number of songs that Paul has yet to play live including “Pipes of Peace”, “No More Lonely Nights” and “Ebony and Ivory”. Jill covers the Michael Jackson part of “Say Say Say” superbly, giving a fresh look to the song. One of the highlights for me was the inclusion of “Hope of Deliverance”, a lesser known song but one that sounds great when performed live. We have a few Beatle numbers too such as “Got to Get You into my Life”, before the band take their leave of the stage before the inevitable encore. “I Saw Her Standing There” had everyone up and dancing in the aisles. The encore has a few surprises including “Mull of Kintyre” and “Dance Tonight” before we finish with a shortened version of “Hey Jude”. 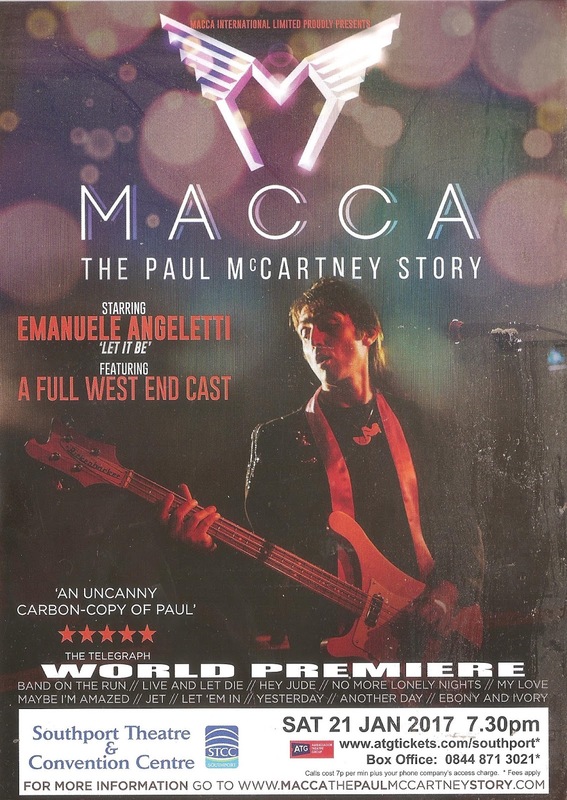 All in all an excellent show, which Paul fans who love Wings and his concerts of today will thoroughly enjoy. The show brings together a great selection of Paul’s post Beatles work making you realise what a great catalogue he has. It is touring the UK for the next three months so watch out for it in a town near you. The year 2016 has sadly seen a number of Beatle connections leave us, starting in January with George Martin, and ending in December with the sad news that Sam Leach and Allan Williams had both passed away within a few days of each other. Sam was born in Liverpool and like many teenagers in Liverpool loved the rock ‘n’ roll music coming into the city from sailors returning from the USA. 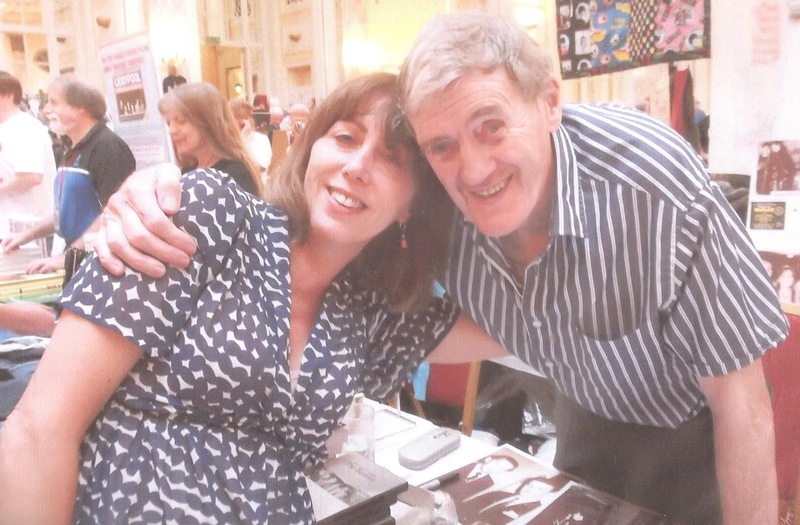 He started promoting shows in the Norris Green area of the city and eventually moved to the city centre, promoting shows at the legendary Iron Door in 1961. In 1961 Sam saw The Beatles for the first time and started working with them. He was responsible for arranging their first appearance in the south of England in Aldershot in the December of that year. Overall he promoted them for over 40 shows between 1961 and 1962. In 1980 he was responsible for organizing the memorial service at St George’s Hall following John Lennon’s assassination. 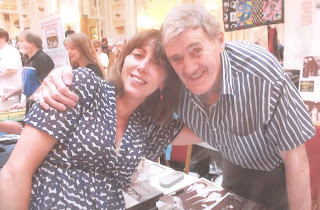 He would subsequently appear at many Beatles festivals and conventions and for the past few years had a stall at the Adelphi on convention day just a couple away from the BBFC stall. He was always polite and would oblige fans with photographs and autographs. Sam’s role in the history of The Beatles is an extremely important one. Allan Williams was born in Bootle on 17th March 1930, with his family roots in Wales. As a teenager, Allan left home and began singing with Joe Loss. With the Liverpool music scene starting to emerge in the late 1950’s he leased a shop on Slater Street, turning it into the Jacaranda Coffee Bar, which opened in September that year. John, Paul and Stuart Sutcliffe were regular customers and asked if they could play there. However, he commissioned John and Stu to decorate the venue, which eventually led to them playing there on occasions. Allan was sending groups to Germany and had a good relationship with Horst Fascher and Brno Koschmider. When asked for another group, he was ready to send The Beatles in August 1960 with their new drummer Pete Best. Howie Casey (who would later play with Paul and Wings during their world tour of 1976), and at the time was playing in Hamburg, was not best pleased and felt if The Beatles went to Hamburg, it would be the end of the groups playing there. With The Beatles having virtually no money, Allen drove them himself to Hamburg on this their first visit. Hamburg made The Beatles, playing 8 hours a night. They became a tight unit. Not just in playing, but as friends as well. 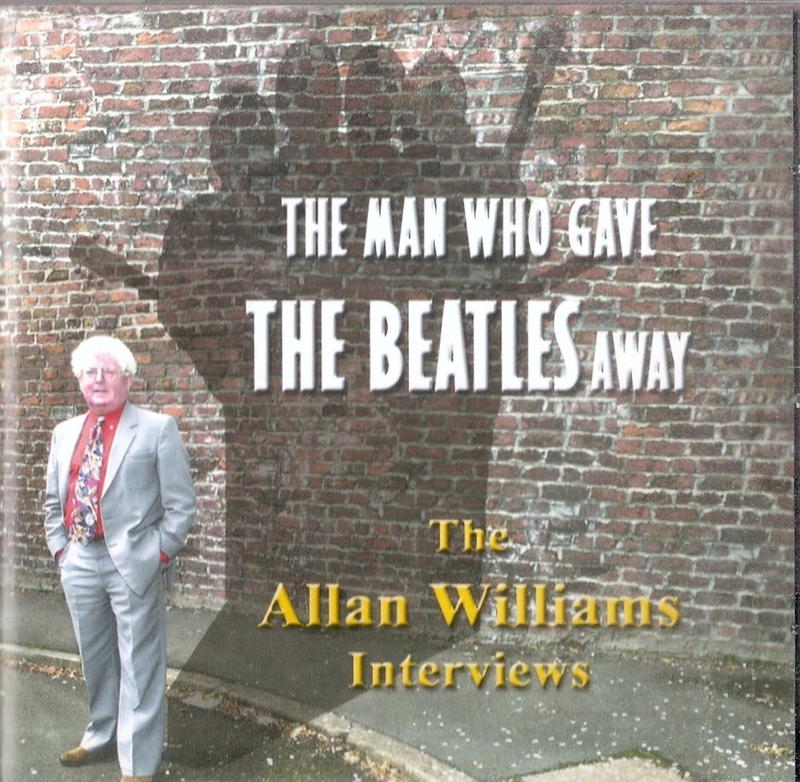 Without Hamburg, The Beatles would not have been the phenomenon they became, and us Beatles fans have Allan to thank for that. Allan was their manager until a disagreement over his commission saw him quit as manager in 1961. Brian Epstein appeared on the scene, and the rest as they say is history. 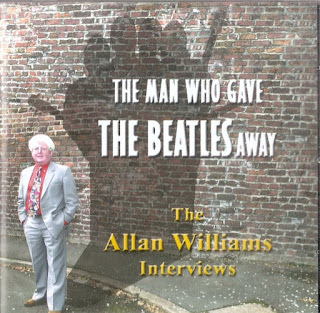 After The Beatles made it, Allan eventually released his book “The Man Who Gave The Beatles Away” in 1975 and was also responsible for recovering the tapes that eventually became the “Live at the Star Club” album released two years later. He would later make an interview CD telling in his own words his story in 2000, on Bandline records. He went on to write an even better book in 2003 called “The Fool on the Hill”, with a selection of Liverpool images and is a great reflection of Liverpool. He was a regular at The Grapes on Mathew Street and frequently appeared at conventions, like Sam. Allan again would happily sign autographs and pose for pictures. Je also appears on the bonus disc of the “Eight Day’s A Week” dvd. Without Allan and Sam, The Beatles history would be so different, and for that we thank them both. We at the BBFC were extremely sad to hear of their passing and send our love and condolences to their families.